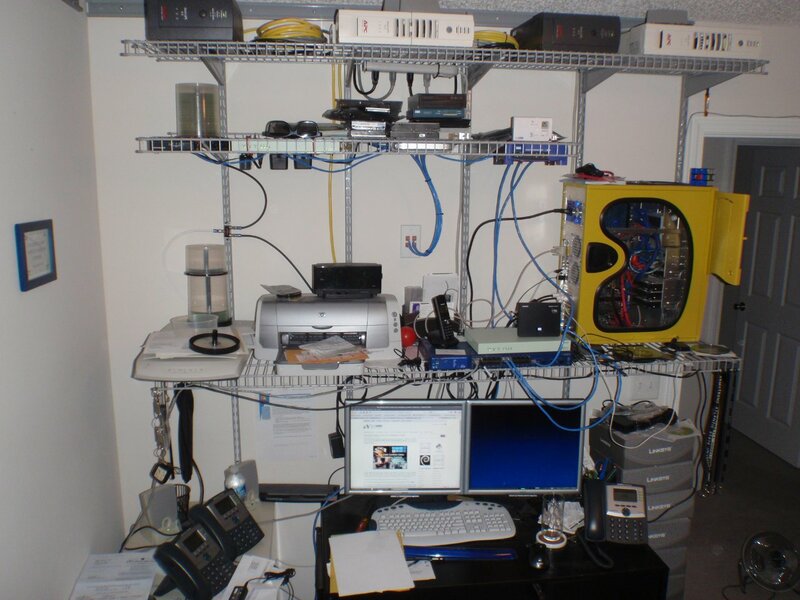 It is time once again to feature an entry for our $100.00 Coolest Linux Workspace Contest. Today, the workspace setup that I'm about to show you was submitted by Aric, codenamed "a-train". He is a network administrator that works on a medium sized health system network in Savannah Georgia. 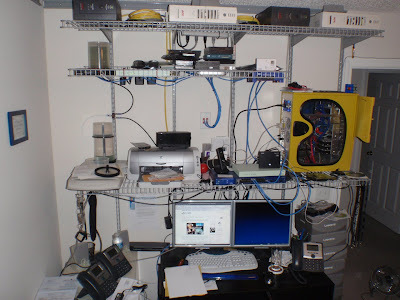 He mainly uses his Linux workstation as a fileserver, and for virtualization, programming various languages, Open Source research, and network and Asterisk testing. Now, here is a photo of Aric's workstation followed by some interesting notes from the owner himself. Thank you Aric and good luck!